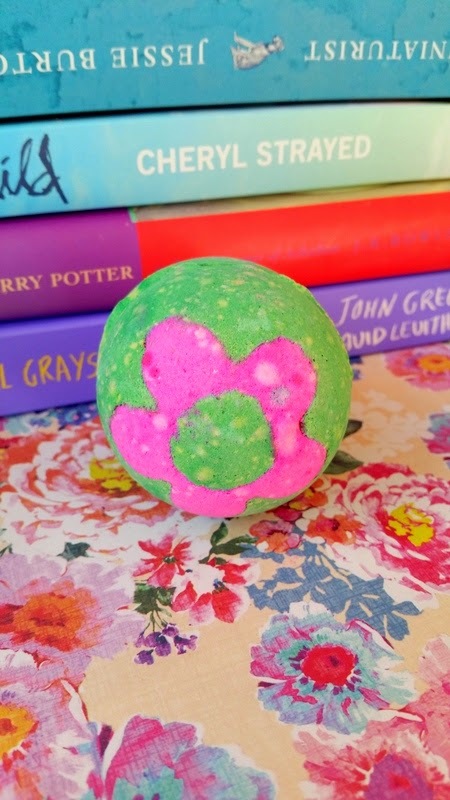 Lush’s selection of bath treats and goodies has never been so good! It’s no secret I’m a huge fan of Lush. Their staff are always so friendly and accommodating (especially at my favourite Edinburgh branch! ), the stores passion towards cruelty free beauty is so inspiring and the gorgeous aromas as I enter the store leave me weak at the knees. My all time favourite products are their Honey I Washed The Kids Soap (£3.40/100g), Cupcake Fresh Face Mask (£6.50/75g), Big Blue Bath Bomb (£3.35 each) and the Butterball Bath Bomb (£2.65 each). I have yet to buy a product from Lush that I wasn’t completely satisfied with or didn’t love. 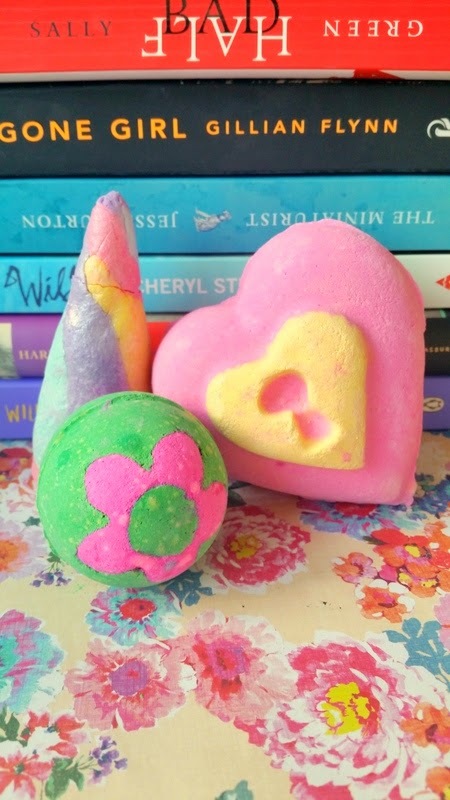 Today I’ll be looking at the Unicorn Horn Bubble Bar (£3.25), Love Locket Ballistic (£6.95) and Secret Garden Bath Bomb (£2.95). Let’s start with the Unicorn Horn. First of all I love the concept behind this! The psychedelic shimmering pastel colours, for me, made this product completely stand out from the rest of the products in the store. There was a lot of buzz around the stand and people were filling their baskets up with this Valentine treat left, right and centre. I was recommended by staff in store to use the bar across two baths so I gently crumbled half the bar into my bath and watched as the bubbles, lightly dusted with silver and pink shimmers, started to form. I expected more colour/scent/bubble explosion from the bubble bar to reflect it’s cheeky playful design but it gave a much more subtle and serene, although still lovely, effect. The gentle notes of Lavender and Ylang Ylang quickly filled the bathroom to create a dreamy and calming atmosphere. 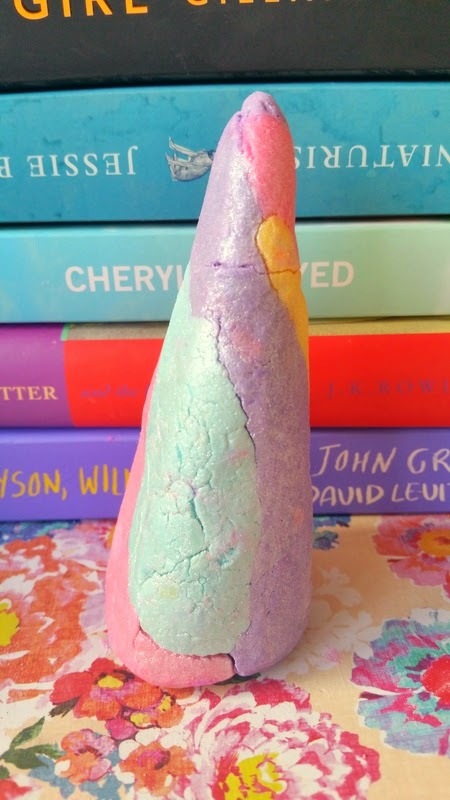 Unicorn Horn would be great after a stressful day or for those with sleeping difficulties as the bubble bath was so comforting and soothing. Surprisingly there was no colour explosion which I’m so used to getting from Lush products but this really didn’t deter from my experience at all. I was however a little disappointed that mine didn’t contain any little candy stars like advertised, I’m unsure if their presence would have made a great difference to my bubble bath but still, they would have been nice to have. Next up Love Locket! So priced at a whopping £6.95 this is the most expensive bath bomb I’ve ever bought. This little beauty however can actually be used for three separate baths. By breaking this the locket in half you can use both sides plus the hidden treat inside! I found it really hard to break the outer shell into two separate halves. I lost all patience and smashed it on the side of my bath tub and divided up the remains into two piles, not very romantic but it got the job done. 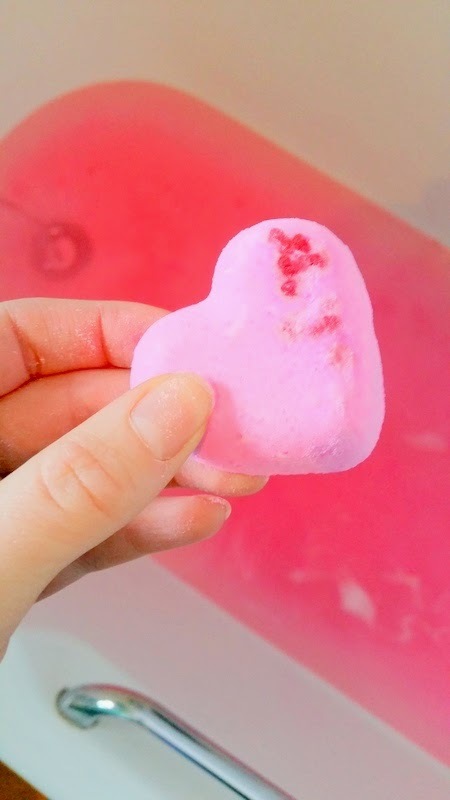 The secret treat inside is full of cute little seaweed hearts that explode into a gorgeously pink bath water delicately scented with vanilla, jasmine and neroli oils. The sensual oils coated my skin leaving my whole body feeling really soft and nourished. And finally Secret Garden. I had a some money to spare so popped this little guy in my basket and, to be honest, I didn’t really expect mind blowing things from it. I was pleasantly surprised to watch it fizz around my bath for at least 10 minutes changing the water to glorious emerald green. I was delighted to find a scattering of rose and marigold petals appear as if by magic floating on the surface of the water. Don’t get my wrong there was very few but still it was a lovely surprise! My bathroom smelled floral like a freshly picked bouquet with a slight aroma of orange oil. The bath itself is very moisturising and calming. Considering it’s one of the cheapest bath bomb available I was really impressed and will be definitely be purchasing Secret Garden again! Have you tried any of this season Lush range yet? Have you tried these three lovely products? 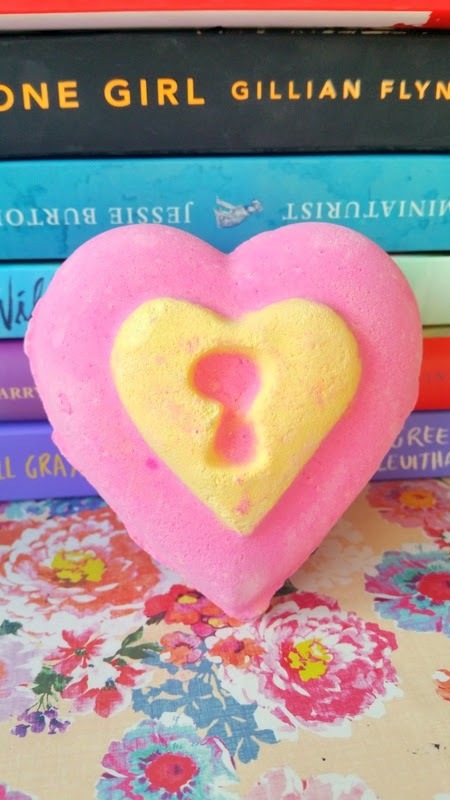 What are some of you all-time favourite Lush goodies? I’d love to know your thoughts, please leave a comment below and follow The Beautiful Bluebird on Bloglovin so you can stay up-to-date with all my latest posts! "Lifestyle | The Harry Potter Tag (Part 1)"